Most broadcast band antennas on the market today are very old designs. In fact many were developed using the 'cut and try' methods of optimisation where real world adjustments are made to an antenna and then tests are conducted on a range. 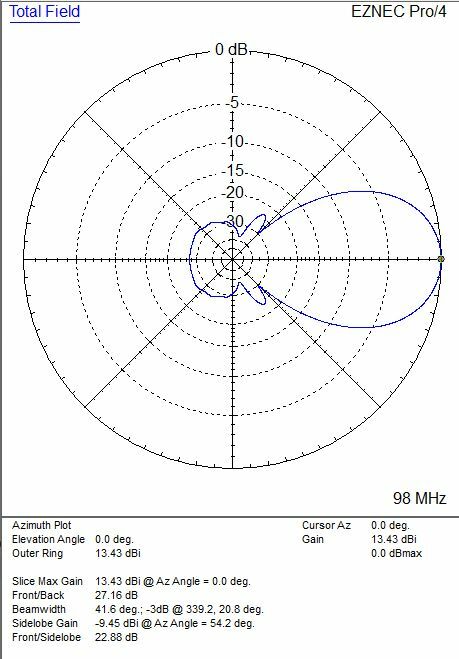 This is not the best way to get the most from any Yagi, especially very wide band examples that need to provide constant levels of performance over a wide range of frequencies. The best method of achieving results is to use the very latest computer optimisation methods available today. Enter the InnovAntennas broadcast band OP-DES Yagi! 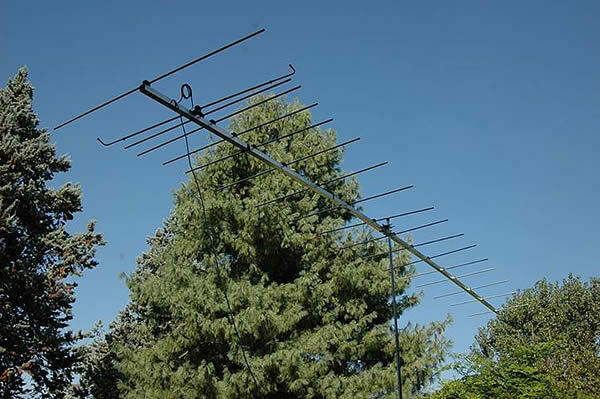 With the InnovAntennas OP-DES Yagi for broadcast applications, even weak (DX) stations can be received with ease, no matter where within the 20MHz spread (that this antenna has) they fall. Take a look at the rolling performance plots below and see how constant the produced gain of the OP-DES can be. In addition to the superior electromagnetic design, as with all antennas by InnovAntennas, build is of the highest quality with marine grade stainless steel being used throughout. For the very best in performance and build quality you only need to remember one name, InnovAntennas! This antenna has all parasitic elements made from 3/8 inch aluminum thick wall tube. The parasitic elements are 3/8 inch while the drive section is 1/2 inch tapering to 3/8 inch. All elements are fully insulated from the boom held in place by high quality UV resistant, RF neutral insulators which in-turn are held to the boom via Marine grade stainless steel fixings and fittings. The boom is 1.5 inch square (38.1mm). A boom guying arrangement is provided with this antenna.